Recently my Plex app for Roku 2 XD started crashing after a minute or two of playback. Since it was on my toddler’s Roku I just started using Netflix and figured the problem would work itself out. Cut to a month later and my kid being utterly sick of her “Bo on the Go”, “Little Einsteins”, and “Super Why” Netflix rotation, I decided to look into the Plex for Roku crashing issue. Immediately I found myself at this recent Plex forum post after doing a Google search for “Roku 2 Plex Crash”. A bit of skimming makes it evident that a recent update from firmware 7.6 to 7.7 on the Roku 2 XD/XS models is the reason for the Plex crashes, as well as glitches and crashes in other apps like Amazon and Hulu. After a bit of reading I ended up at the Roku forum where a Roku Staff member made a reply saying to email him your Roku 2 serial number and he would roll back your firmware to 7.6 from 7.7 as a temp fix. I’m not exactly one for “temp fixes”, plus there were people already bitching that the roll-back was taking too long. I decided to keep searching..
After a bit more searching I then came across a page with “secret codes” to access Roku hidden settings and even manually install channels, for developing and testing of course. I decided to try checking for updates and was given the option to update to the same build version I already had, so I did it! Problem solved… so far my kid has been watching Plex for an hour without any problems! I assume something with the original update from 7.6 to 7.7 didn’t go through or got corrupted, and re-updating fixes the issue. *fingers crossed* Here’s the code to use. Once in the menu just try doing an update. Good luck, and please comment below whether re-installing the 7.7 update via the above secret menu fixed your problem or not! So it seems that the above re-installation of the 7.7 Update only worked for some people, and not others. Also, for the ones it did work on, the problem was only temporarily fixed – myself included. After a few weeks the fix no longer worked and the 7.7 update had to be re-performed to make Plex usable again. 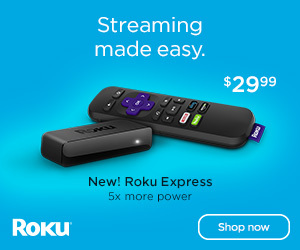 Then, to make my matters worse, my girlfriend added some new channels to our Roku Premiere+ and the channels were automatically, annoyingly, added to our Roku 2 XD since they are on the same Roku Account. After the new channels being added, the 7.7 Update fix only made Plex work for a few days, plus my Hulu started having issues where videos wouldn’t even try to play before backing out. Since people have already gotten 8.0 updates on other 7.7 bugged Roku models, including the Roku 2 XS, yet my Roku 2 XD was still on 7.7 with no hope for an update any time soon.. I decided to take drastic measures. In order to have separate channels on both of my Roku players I made a new Roku account and reset the Roku 2 XD back to factory defaults before logging back in with my new Roku Account. After adding just Netflix, Hulu, and Plex, as opposed to all 12+ channels that are on my Roku Premiere+, the Roku 2 XD has now been playing Hulu, Netflix, and Plex without problems for 12+ hours. It seems as if the Roku 2 XD probably doesn’t have enough internal system storage, or perhaps RAM, for the 7.7 update to work properly. Then, after cache files from channels build up, the problem comes back. If this is the case, I hope there was just some sort of coding oversight that made cache files not be deleted when they should be, or something similar. Perhaps this current band-aid fix will work for a few months with just 3 channels taking up space. Hopefully a new update will be out by then and my Roku 2 XD doesn’t become just a paper weight. I’ll be sure to update with any news regarding the Roku 2 XD and 7.7 update, plus how I’m fairing with my finicky Roku. Working for me so far! Thanks for the easy walk through. Didn’t work for me. I reinstalled the same 7.7 update and it’s still crashing my Roku 2 XS. Guess I will look into a new Fire TV. Check out the update to article, creating a new Roku account with less channels fixed all my problems. I too had problems again, eventually, but creating a new Roku account with less channels fixed my issues! Thanks – has worked for me! Did not help. No Plex, no Roku. Try creating a new Roku Account with less channels, that solved my issue on the Roku 2 XD. It’s been 22 days and I can still use Roku fine. Seems to have worked for me – for now. Thanks! !